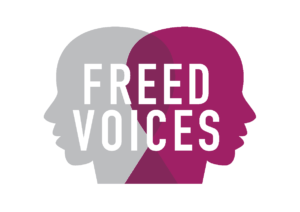 Freed Voices welcome the Home Affairs Select Committee immigration detention inquiry report’s findings and recommendations. Credit goes to all the MPs for shining a spotlight on the UK’s despotic detention estate and its devastating impacts. This report is an outcome of a rigorous inspection backed by a wide range of evidence from experts across this sector and evidence from experts by experience as well. We are not surprised by the critical findings of this report, as we have endured them, witnessed them, and are now fighting to make sure that others do not have to go through what we have been through. Even though this report does not make an easy read, especially if you have experienced detention first-hand, we are glad to see that more and more people will be aware of the realities of detention through this sort of report. We welcome the recommendations in this report: a 28 day time limit, stronger judicial oversight, more use of alternatives to detention and also, that Home Office staff treat people in detention as human beings, rather than treating people as paperwork files. We also welcome the priority this report has given to the detention of vulnerable people. We are glad to see that the key findings of this report echo the key findings of the recent Joint Committee of Human Rights inquiry into immigration detention, which is another crucial detention inquiry that our group – along with many others –contributed to last year. It is time that the government accept that the current detention system does not work for anyone: it does not work for the thousands of individuals being detained; it does not work for the wider communities; it does not work for taxpayers and finally, it does not work for the Home Office either. The government can never take back the extraordinary amount of harm and trauma inflicted on us, and thousands of others; however, it is not too late to fix this broken system and end this ongoing human rights scandal. We hope that the government will accept that there are serious problems across the whole detention estate that need to be addressed as soon as possible. They must take this opportunity to correct their mistakes. We believe that a 28 day time limit would be a good starting point followed by prompt implementation of other key recommendations, such as early judicial oversight and the wider use of alternatives to detention. This report should signal the end of the line for indefinite detention; we are asking the government to listen to the wide range of calls for essential and urgent detention reform. Urgent – 27,000 people held every year in UK immigration detention centres with no time limit. Unaccountable, arbitrary, indefinite detention is a human rights abuse. Join the movement to end it. Join our movement to end indefinite detention in the UK by signing up as a supporter. You can read our Privacy Notice here.